Saw that this morning. I hope they’re smoked and wrapped in tortillas by now. interesting situation I was in ALDI today shopping and saw a “grabber” wonder what I could use it for! No doubt the one in the video is not a $1 shop version and I hope has an unusually long handle. 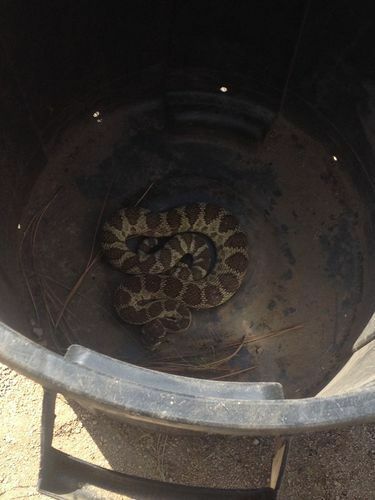 I did experience a rattlesnake one day managed to catch it in a bucket, I will see if I can find a picture for ID purposes. Do you have rattlesnakes in Alaska? Anybody heard from Nate Medows lately? The common garter snake is the only species of snake to be found in Alaska, and is one of the northernmost species of snake in the world, possibly second only to the Crossed Viper. I think I’d burn the house down and move to Canada. The guy going in must have a huge pair. I’d much rather have snakes than rodents or bugs any day. That being said I would want them gone, I’d also be very inclined to incapacitate them before removing them.